I would like more information about 6331 Camino Corto. 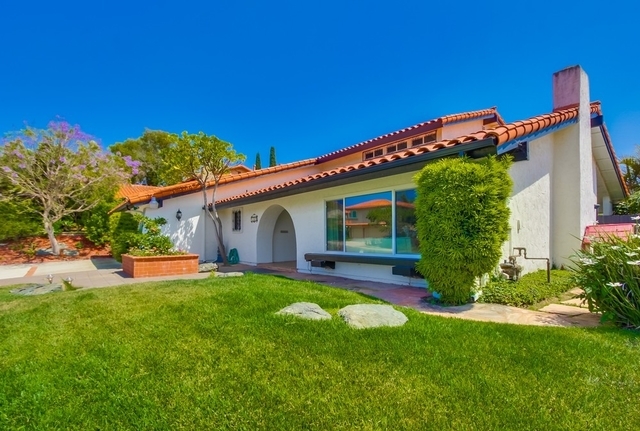 Beautiful remodeled home located in the hills of Del Cerro. Master Suite on first level with four spacious bedrooms and a loft upstairs. Gourmet kitchen featuring Viking stainless steel appliances, updated bathrooms with designer touches. Freshly painted in neutral colors. Oak wood floors throughout lower level. Improvements include newer AC and furnace, dual pane windows, reverse osmosis water system & fully owned solar. Glorious ocean view from the backyard. Sparkling pool and grassy area.